It doesn’t get easier than no-cook Summer fruit pureés. Make small quantities, as you need them, as they don’t freeze well and are much better fresh. 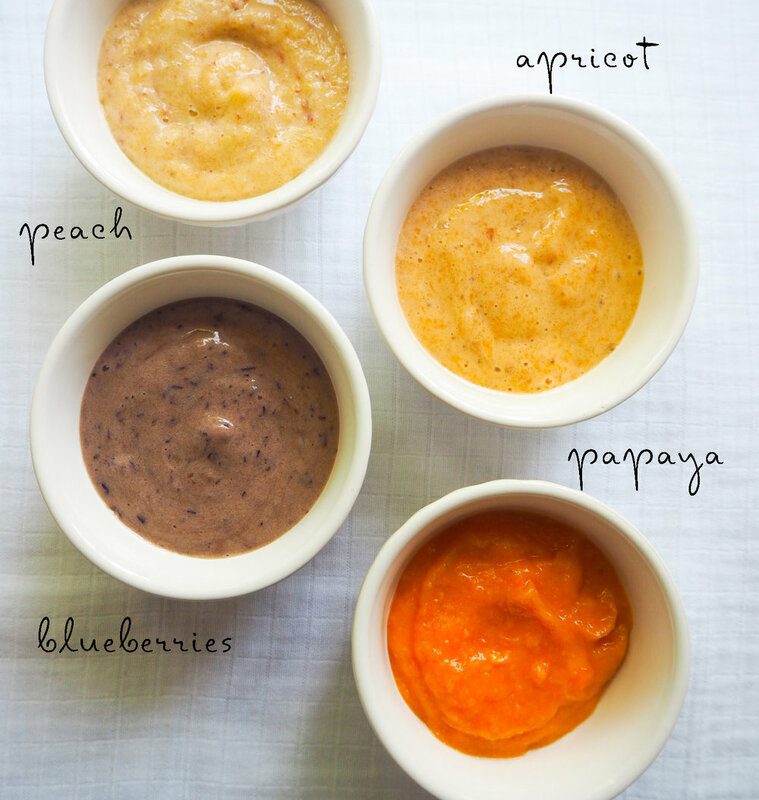 I like to blend them with 1/2 banana ~ for a lovely smooth purée, but you can just blend each fruit on its own. This will taste so much better than anything out of a packet too.